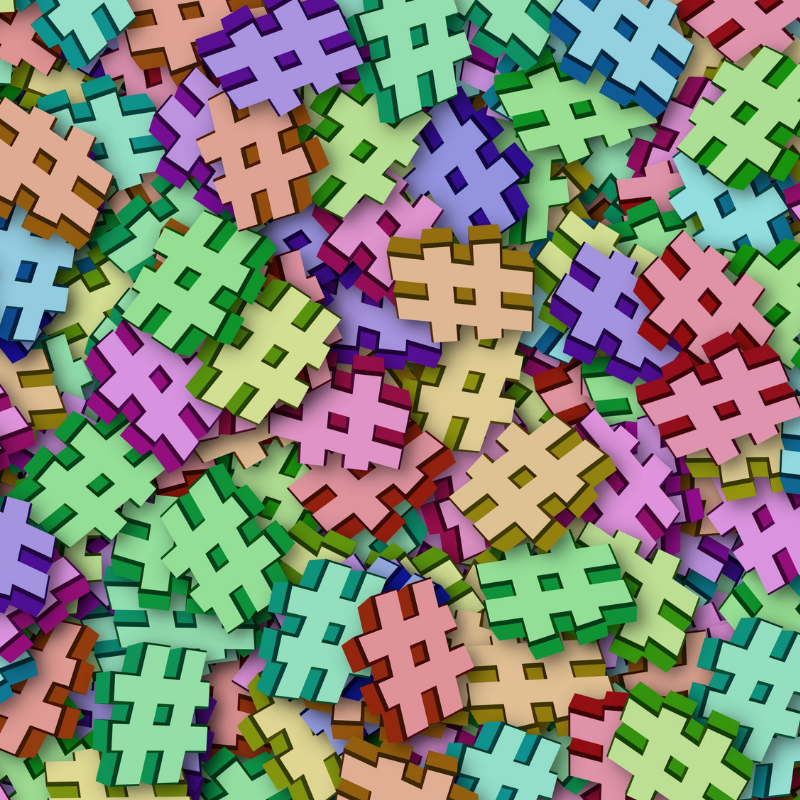 Hashtags (#) are symbols used to categorize content on the web. Using hashtags for categorization started on Twitter and quickly spread to other platforms; however, how, where, and why to use hashtags on the various platforms varies. Hashtags are like driving lanes; there are right ways and there are wrong ways to use them. Here are the basic rules of the #road. While you don’t want to repeat the same tags over and over, you do want to have a bank of tags that fit your brand and your content. The recommendation is 40 to 60 that you use in rotation. Use hashtags on Twitter, Instagram, Pinterest, Snapchat, Facebook, Tumblr, YouTube, etc. Hashtags typically go at the end of a post. It’s okay to integrate hashtags into the post. One is usually okay especially if you’re tagging an event or a trending topic. If you’re tagging another brand, use the @ symbol to link to their profile. If they don’t have a profile on the platform you’re using, use a hashtag if there is one. Use one or two hashtags on Facebook. One should be a branded tag; the other should relate heavily to the content. More tags on Facebook lower your post’s visibility. Use two hashtags on Twitter, Pinterest, and Snapchat. There are times where you might feel inclined to use more, but posts with two perform best. This is why it’s important to research tags and to use them wisely. Instagram is the oddball; roughly eleven or more hashtags on this platform boost your visibility. Tumblr and YouTube are not as restrictive; posts with more tags tend to rank higher. The goal of using hashtags is to boost your post’s visibility. Hashtags are most effective when they describe your brand and / or the content of whatever you are posting. You should use hashtags if they are appropriate for what you are posting; you should not use hashtags indiscriminately. In other words, do not create a hashtag to land in a category that does not relate to the post. Audiences will punish that kind of misuse. If you want to be a social media winner but feel more like chicken dinner, you’re not alone. That’s why we’re here. Contact us at The Storyteller Agency and let us know what your business goals are, and let us help your put your best self forward.